© donnimac siller. All rights reserved. 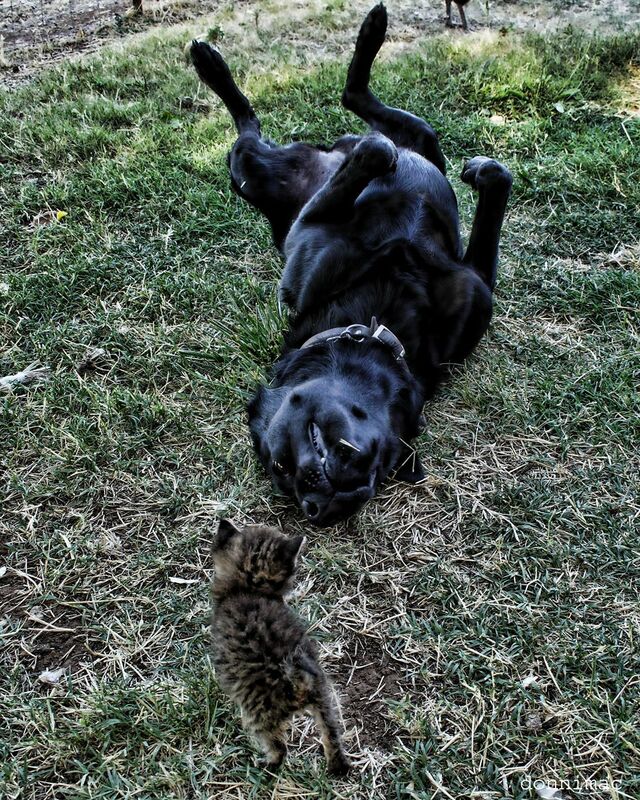 The Black Lab Panama (or Panamama) thinks she is the mother to our cats. Always playing with them, loving on them and letting them eat her food. This kitten was just introduced to Panamama and was a little startled when Panama wanted to love on him.